After 25 years of working as a documentary photographer one skill I've learned is to enter a space to work quietly and effectively, making people I'm photographing comfortable with my presence. 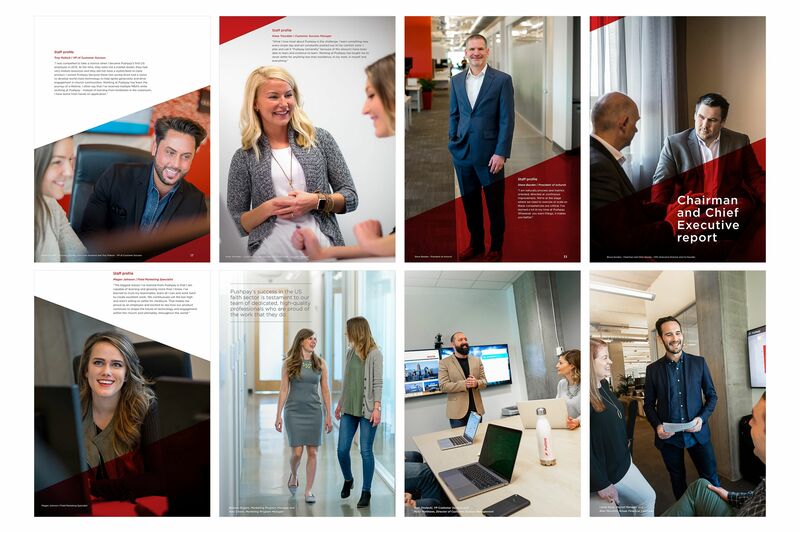 Skills that work really well when I get asked to create what I call "corporate documentary" images, photographs of real employees at work, created with minimal impact to the work day that allow companies to show their staff in the best and most natural light. Here are some recent samples below for Pushpay, a New Zealand based company with offices in Seattle, that creates payment solutions for non-profits.